The translucent water off Africa's Indian Ocean coast is home to an astonishing array of large marine life – whales, dolphins, whale sharks and manta rays – while the dark stains of deeper blue hint at incredible coral reefs waiting to be explored on a Africa diving holiday. Not sure where to start? From shallow coral gardens to adventurous deep-sea dives, our guide to Africa’s top diving destinations has something for everyone. 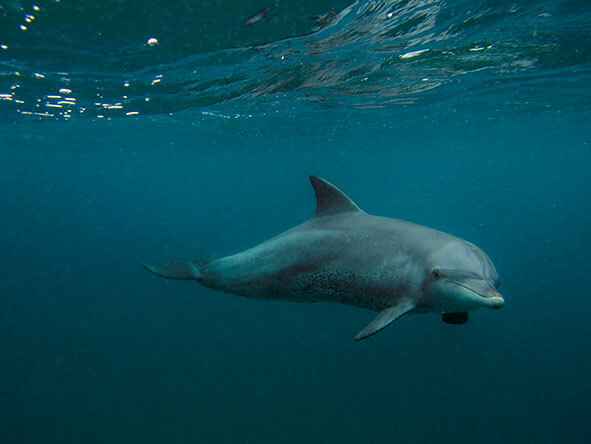 Just off South Africa's KwaZulu-Natal coastline lies the world's southernmost coral reef. Diving is seriously restricted within this marine reserve, so yours will be the only dive boat at one of 15 exclusive access sites. On your way to your dive you may even get the chance to swim with dolphins and, once below the surface, you'll find reefs are teaming with life: busy cleaning stations, moray eels poking their heads through coral crevices, turtles, snappers, kingfish, scorpionfish - the list totals over 1 250 species, a number which rivals that of Australia's Great Barrier Reef. You can’t really go wrong picking the tropical islands off Mozambique's coastline as a destination for your Africa diving holiday. For beginner divers and families we’d recommend the protected waters of the Bazaruto National Park: the reefs are relatively shallow with a rich array of hard and soft corals, all manner of reef fish, and often a turtle or manta ray gliding by. Whale sharks can also be seen between October and December, and there's even the slim chance of spotting a shy and super-rare dugong. Advanced divers or those looking for a private island escape should cast their eyes north to the far-flung islands of the Quirimbas Archipelago. Expect magnificent coral walls and dramatic drop-offs patrolled by pelagic fish and various shark species, turtles and - in the summer months - humpback whales. 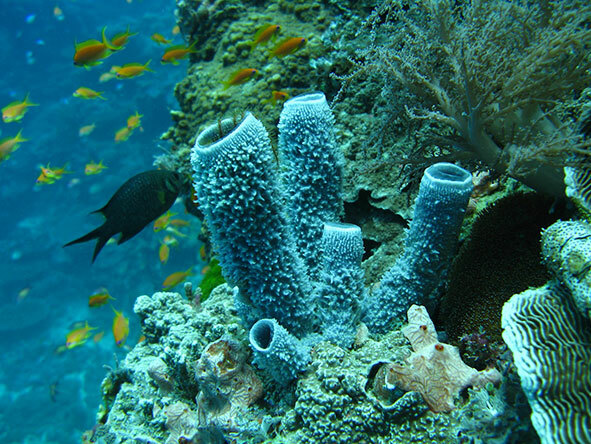 The upwelling of cold water in the Quirimbas has kept these reefs healthy, vibrantly coloured and teeming with life. This is still a relatively unexplored diving destination with new dive sites being discovered all the time. 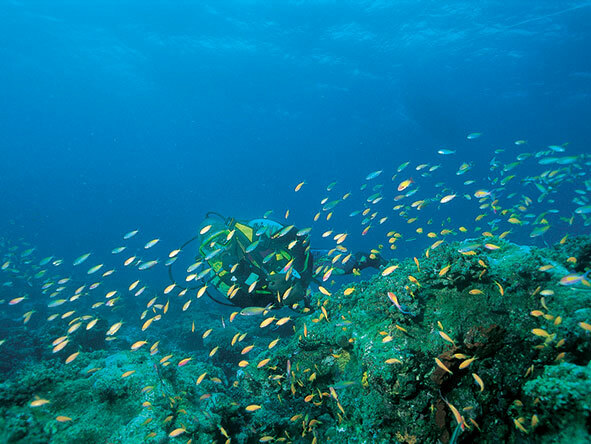 The Seychelles is a top diving destination with a range of sites to suit divers of all levels. Although some of the coral was bleached in 1998 it has recovered well, and the diversity of marine life in the warm, clear Indian Ocean is nothing short of astonishing. 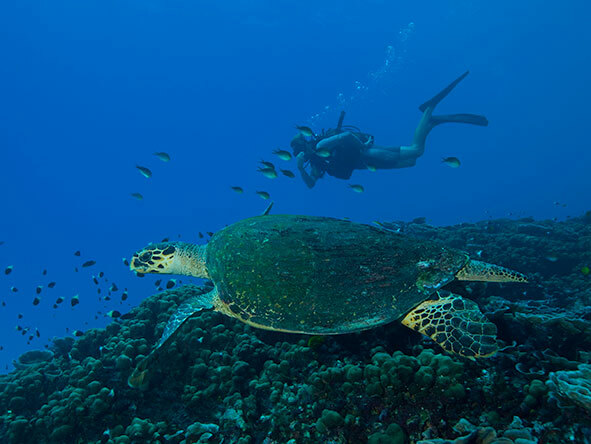 Around the Inner Islands, enormous granite boulders lie heaped on the ocean floor creating shallow coral crevices with a kaleidoscope of exotic reef fish alongside hawksbill turtles, octopus, eels and nudibranchs. For more advanced divers, the remote sites around the Outer Islands offer the chance of seeing sailfish, mantas and maybe even a hammerhead shark. The Zanzibar Archipelago offers such a diversity of dive sites - from sheltered bays to exciting wall, drift and night dives - that anyone from an absolute beginner to a practiced pro will be left wanting more. Between Pemba Island and the mainland is a deep channel with incredible corals of all descriptions, while the Levan Banks near the Pemba Channel is popular with advanced divers due to strong currents (you can literally go with the flow), and we'd also highly recommend the marine park around Mnemba Island: an atoll with a shallow reef fringed by steep coral walls dropping down about 40m. The island of Mauritius is almost completely surrounded by a coral reef creating sheltered waters with weirdly shaped corals and brightly coloured fish darting about - perfect for beginners! - while more advanced divers are sure to enjoy exploring the wrecks, caves, tunnels and pinnacles further out to sea. Scuba-diving is best off the south-western side of the island with dozen of sites to choose from - Flic en Flac being one of the best known - and the water is so warm that wearing a wetsuit is seldom necessary. This beautiful tropical island falls within the Mafia Island Marine Park, Tanzania’s first marine national park and one of the largest protected marine areas in the Indian Ocean. Mafia Island has an incredible choice of sites: shallow flat-top reefs, steep banks of coral, beautiful densely packed bommies, channels, swim throughs, drift dives and caves. For the most part the coral is in great condition and hasn’t suffered the bleaching that’s occurred in other Indian Ocean island destinations. After diving, enjoy a picnic on a bright white sandbank with a stretch of beach all to yourself.